The biosphere reserve administration was established in 1998 to support the protected areas of the Elbe valley. 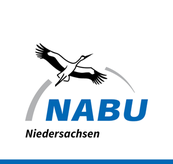 Since 2005 the biosphere reserve administration is a formal agency of the Department for the Environment of Lower Saxony. Key tasks are the development and promotion of sustainable land use and economic structures, the preservation of the biological diversity, the preservation and development of the cultural landscape, awareness raising, environmental education and research. Amphi International has been working since 1992 in the areas of environmental consultancy and nature conservation in all of Europe. They focus on the long-term protection of amphibians. Amphi International has extensive practical experience, including co-operation on seven LIFE projects.